Let's face it, food processors have been around since caveman days. Okay, maybe not that long, but they've been around long enough that they're no longer new and exciting. And in all those years, the function hasn't changed much, which is why I never felt the need to review one. We all know what they do. 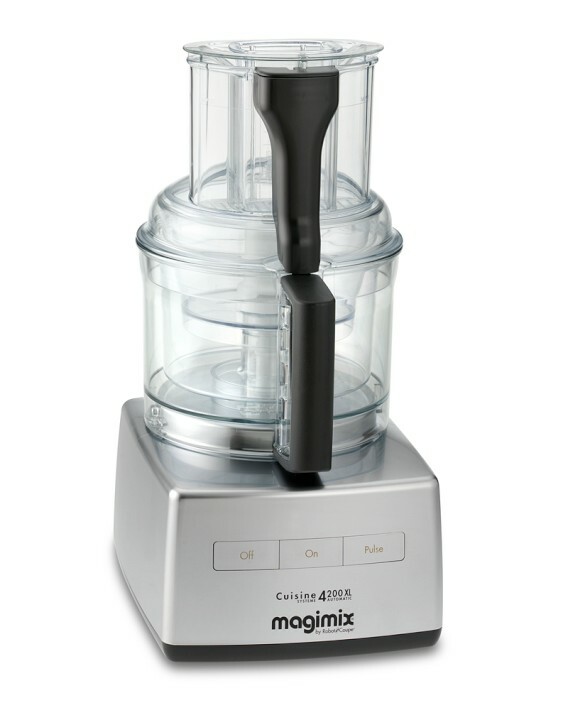 But when I heard about the Magimix food processor and its juicer attachment, I thought it was worth a closer look. When it comes to kitchen appliances, people will sometimes ask whether they need a blender, juicer, or food processor, as though they all do the same thing. A juicer is a completely different beast than the other two. It mashes or shreds the food and separates the pulp from the juice. While blenders and food processors have similar spinning blades, if your goal is smoothies and milk shakes, you'll get much better results from a blender than from a food processor. Carrot-orange juice made with the juicer attachment. The Magimix I tested came with a plastic insert that was to be used for blender-like operations. I gave it a try, and basically it causes the liquid to get thrown around a bit, just like what happens inside a blender. I blitzed some ice and made some smoothies and shakes, and the result was just like I'd get from my blender. But the thing that really intrigued me was the add-on juicer attachment. It fits into the bowl of the food processor and works like a centrifugal juicer, shredding and separating juice from pulp. The major difference between this and a standalone juicer is that the juice and pulp don't eject from the food processor - the juice remains in the bowl of the processor, and the pulp stays inside the juicer attachment. So, if you're going to make vast quantities of juice, you'll need to stop occasionally and empty the food processor bowl. And, depending on how fibrous or pulpy your fruits and vegetables are, you might also need to remove the pulp that accumulates. If you already have a food processor, it wouldn’t make sense to buy this just for the juicing feature, but if you’re shopping for a food processor and you want to do some juicing as well, this will save you some counter real estate. Bonus is that while some juicers are seriously noisy, this is only as loud as a typical food processor while it’s juicing. I received this item from the manufacturer for review. Words and opinions are my own. It's LIVE! Make Ahead Bread! Well, how about that. 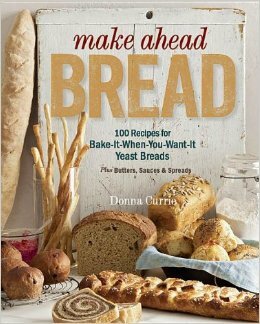 My book, Make Ahead Bread is available for pre-order on Amazon! To help me celebrate, my friends at Good Cook have a sweet (yeasty) offer for you. If you pre-order the book by February 28 and fill out this Google Doc, Good Cook will send you a loaf pan. This is not a contest sort of giveaway - no winning required. Just order the book and fill out the form, and the pan is yours. It will take 8-10 weeks for delivery, so it will be ready and waiting when your book arrives. Thanks so much to Carla at Good Cook for making this awesome offer! 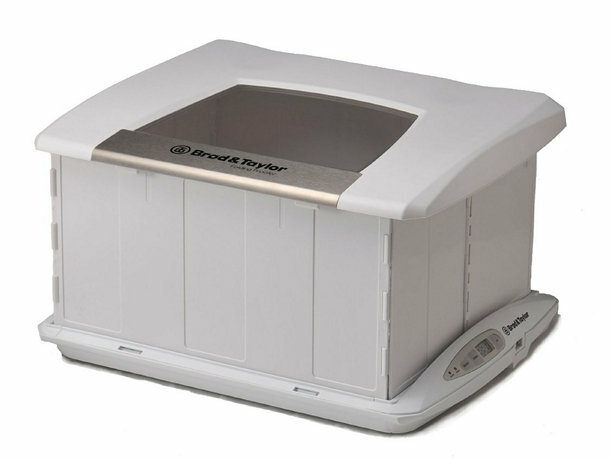 The first thing I have to say about the folding proofer ($148) from Brod and Taylor is "How have I survived so long without this?" Okay, I'm in the midst of developing bread recipes for my upcoming cookbook, Make Ahead Bread, so I'm baking more bread than a normal person. But even when I'm back to my normal rate of bread production, this will be a handy thing to have. And, when it's not in use, it folds, for more compact storage. That's always a bonus. When I first unpacked the proofer, I thought it might be a little too small - it looked like it might be too short to fit my stand mixer bowl. But, no, the bowl fit in the proofer, with a little headroom. The interior measures 12 1/2 x 15 inches, and about 8 1/5 high, so it's too small for a half-sheet pan, but it's fine for plenty of other pans and bowls. This heats to a range of 70 - 120 degrees in one-degree increments, so besides proofing dough you can use it for fermenting yogurt or similar products. I been using it pretty constantly for proofing dough, and I've made several batches of yogurt as well. Although I haven't done it, I suspect it would also be useful for keeping food warm if you're cooking in batches or if something is finished a little sooner than it should be. Before I had this proofer to work with, my favorite place to proof dough was in my oven with the light on. But that's no use when I need the oven for something else, which is usually the case. If you don't bake a lot of bread, obviously you won't need this. But if you make a lot of bread and you want consistent temperature for rising, this just might come in handy. There's this football game coming, right? And people like to nosh on things, so when my buddy Carla at Good Cook posted a challenge to make some sort of appetizer, well, duh. I'd better be posting some kind of recipe, right? After some not-so-serious thinking and an accidentally large bowl of mashed potatoes (I like peeling potatoes, so I often end up with more than I need) I decided to turn those spuds into some thing more nibble-worthy. My first thought was some kind of deep-fried potato balls, but that sounded messy. So I went a flatter route, making little potato pancakes. These can be made ahead of time and warmed right before serving. Traditionally, I serve potato pancakes with either sour cream or with applesauce, but these could be topped with all sorts of things - salsa, guacamole, more cheese, slices of sausage ... whatever makes you happy. I used home made creme fraiche. You can find my recipe here. They can be served as individual bite-size pieces, or stack 'em up and stick 'em with a toothpick. Use two, with a filling between. Whatever makes you happy. I used leftover mashed potatoes (obviously) but you can make and mash potatoes just for this dish, if you like. I suggest mixing, then making one little pancake, then taste-testing and then adjusting the flavors. You might need salt, but maybe not, if you're using leftover mashed potatoes. Combine the potatoes, eggs, chives and cheese in a medium bowl. Heat butter or oil (your choice) in a frying pan or griddle. If you've got a super-nonstick pan, you might not need any butter or oil for cooking , but I like a little bit for the flavor it adds. Use a small scoop or a spoon to form small balls of dough and place them in the pan with plenty of space between them. Use a fork to flatten the balls. Cook until the first time is browned, then use a spatula to flip and cook on the second side. Transfer to a dish and keep warm while you continue to make more little pancakes. Serve with creme fraiche as a garnish. This post is sponsored by Good Cook as part of the Kitchen Experts program. I've had some fun coming up with food and drink recipes using Captain Morgan rum. For Thanksgiving, it was a rum-infused cranberry sauce and a cran-raspberry cocktail. Then, for Christmas, it was hot buttered rum, and an ice cream with the same flavors. Now, it's tropical wings, and a drink to match. I chose wings because they're a natural for a party. Small bites, finger friendly, and really, really tasty. Like, you know, when you're watching the Superbowl. Or the commercials. However you roll. Since the nice folks at Captain Morgan just sent me a bottle of their new white rum, I decided to use that for both the wings and for the drink. And then my next thought was pineapple juice. Since I wanted a thick glaze, I started with something concentrated - frozen pineapple juice concentrate. And then I added orange juice concentrate as well. To add sweetness to that tartness, I opted for a little brown sugar, for its richness. And then it needed a touch of heat, so I added a pinch - or maybe a generous pinch - of red pepper flakes. Use as much as you like. I wanted a gentle heat, not something that would kick me in the teeth. Then I turned to the cocktail. Tough job, huh? I made a blended cocktail, using the same pineapple juice concentrate in the cocktail as I did for the wings. And of course there was the rum. For thickness, I added a banana, and I blended it all together. The cocktail got slices of lime for a garnish, just like the wings, and a big fat strawberry for color. The drink and the wings paired perfectly. Place the wings in a bowl (or plastic bag, if you prefer) with the olive oil, lemon pepper, and paprika. Toss the wings to coat with the spices. you can do this ahead of time and leave the wings refrigerated, or just let them rest while you preheat the oven. When you're ready to cook the wings, preheat the oven to 375 degrees. Line a baking sheet with aluminum foil for easy cleanup and arrange the wings skin-side up on the sheet. Bake for 50-60 minutes until the wings are fully cooked and the skin is brown and getting crisp. Turn them over or rearrange them on the sheet as needed to ensure they cook evenly. While the wings are cooking, make the glaze. Combine all of the glaze ingredients in a small saucepan and cook, stirring as needed to keep the glaze from sticking or burning. Continue cooking until the glaze is thick and syrupy. Set aside until needed. Add glaze during the last 10 minutes of cooking, drizzling or brushing it on the wings. Cook until the glaze is bubbly and golden on the wings. 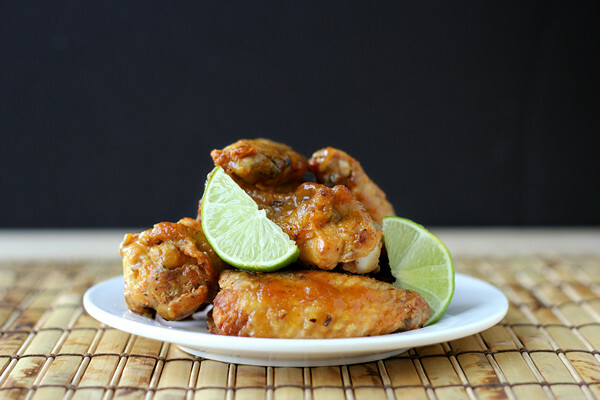 Serve hot with lime wedges to squeeze onto the wings, if desired. Blitz the ice cubes in a blender until you have fine "snow" then add the rest of the ingredients and blend until smooth. Serve with a slice of lime and a strawberry for garnish. This post was sponsored by Captain Morgan as part of their #CaptainsTable challenge. I received rum for use in recipes and a stipend to purchase additional ingredients. Remember those rum ball cookies? Buttery little bites with chocolate and rum ... now think about them warm ... so good, right? Melt-in-your-mouth chocolate with that hit of rum. Now, think about how good that would be as a cocktail. I recently introduced myself to hot buttered rum, an old fashioned drink that's warm and comforting and perfect for a cold winter night, snuggled up with a blanket and a good book. Or the TV remote. Or whatever. But then I thought, gee, why just butter? Why not add a little something more? Like chocolate. because that goes well with both chocolate and rum. MMmm. Rum balls. If you happen to have a batch of those cookies sitting around, they'd be a perfect little nibble to go with this drink. Put the butter, rum, and chocolate syrup in a heatproof glass. Add the hot water and stir until the butter is melted. If you have one of those little drink frothers, you can build a nice little topping of foam on the drink. Or, if you want to be really decadent, put a little (or big) dollop of whipped cream on top. Humans have been opening shelled nuts since ... well, since we used rocks. Most people I know have moved beyond bashing their food with heavy objects, and have moved on to some sort of nutcracker. I have a set that my parents owned, and although the nutcrackers and picks are ancient, they work well. As long as you've got the grip strength. Some people don't have quite that much power, so a better engineered nutcracker could be a good idea. The Drosselmeyer nutcracker ($39.95), besides being attractive, also makes the job easier. Something to do with leverage, I'm sure. 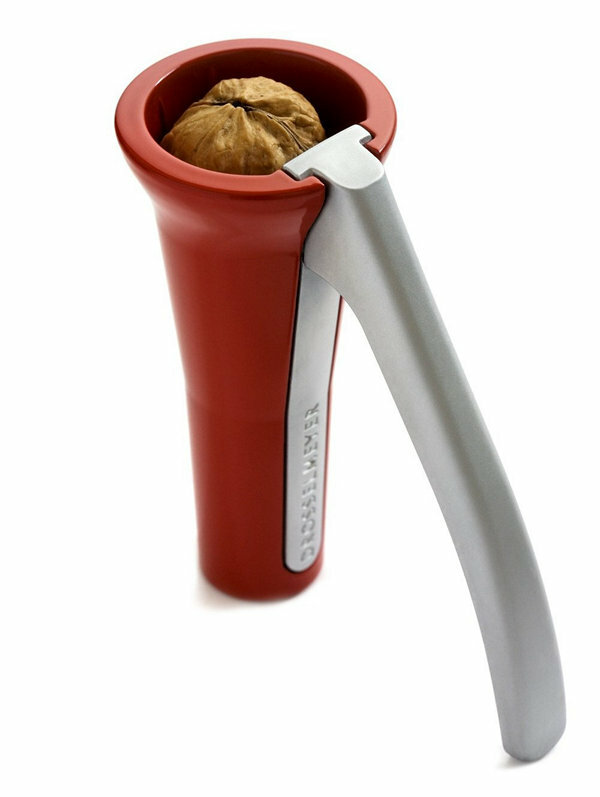 It easily handled every type of nut I threw into it, from hazelnuts to Brazil nuts to walnuts. The largest of the walnuts didn't fit entirely inside the maw of the cracker, but it got the job done, anyway. I put this cracker out at Christmas, along with a bowl of nuts, and I got plenty of unsolicited comments about how well the nutcracker was made and how easy it was to use. I'll admit that $40 is a bit pricey for something that has a single function, but given the fact that I've been using the same nutcrackers my parents owned 50+ years ago, I imagine this would last quite some time as well. Parker house rolls are typically soft, sweet, buttery, and folded over. Some folks like them nestled together in the pan so the touch each other, while others prefer them kept separated. You can decide that when you bake them. Instant mashed potato flakes are my secret ingredient for making breads fluffy. When you buy them, look for the ones that don't have any extra ingredients - no salt, spices, or preservatives. I've found several brands that are nothing but dried potatoes - that's exactly what you're looking for. I normally use my stand mixer for kneading bread dough, but most can be kneaded by hand. In theory, you could knead this one by hand, but it's pretty stiff at the beginning which makes it harder to knead. And then, trying to add that much butter to a dough can be annoying by hand. It can be done, but it's not a whole lot of fun. Then again, these rolls are worth it. Put the milk, yeast, bread flour, sugar, and potato flakes in the bowl of your stand mixer. Knead until the dough is smooth and elastic. The dough will be quite stiff at this point. Add the butter and salt and continue kneading until the butter is completely incorporated. Cover the bowl with plastic wrap and set aside until the dough has doubled in size, about an hour. Line a baking sheet with parchment paper and preheat the oven to 350 degrees. Dust your work surface with flour - you won't need much at all. Turn out the dough, pat it down to flatten it. Fold the left side towards the middle, the the top, right side, and bottom. The dough should now be somewhat square. With a rolling pin, roll the dough to about 9 x 12 inches. Using a pizza cutter or sharp knife, cut the dough into three 12-inch strips, then cut each strip into 4 equal pieces, so you have 12 squares. Using a chopstick, the handle of a wooden spoon, or a similar object, press a line onto each square going straight across (not diagonally) so it's not quite across the center of the square. This will help keep the dough from unfolding when it bakes. Fold the dough over at the crease, with the larger portion folded over the smaller one, like a clam with an overbite. Arrange the folded dough on the baking sheet, leaving space between them if you don't want them to touch, or placing them nearly touching if you prefer pull-apart buns. Cover the buns with plastic wrap and set aside until doubled in size - about 30 minutes, or half the time it took for the first rise. When the buns have doubled in size, bake at 350 degrees until the buns are nicely browned, about 25 minutes. Remove the buns from the pan and let them cool on a rack. *The milk shouldn't be hot - just at that point of warm when you realize it's not chilled any more. 30 seconds or so in the microwave is just about enough. If it still seems chilly, microwave in short increments, until it feels just warm - not hot. I have this Bundt pan problem. Like … I like them a little too much. When I saw the “Diamond Cut pan on the King Arthur Flour site, I had to get it. And I had to bake with it, like right away. Luckily, I got a lemon cake mix with the pan, so it was in the oven before the boxes were in the trash. And then, of course, I had to make a from-scratch recipe after that. Because that's how I roll. 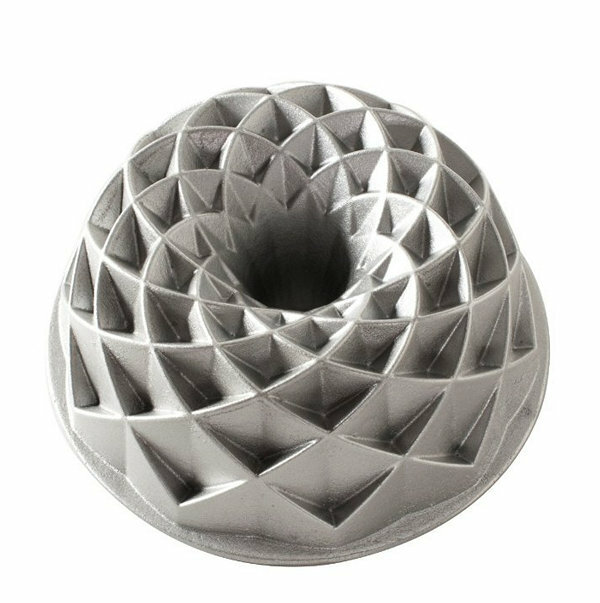 Rather than inventing or adapting a cake, I decided to pull out Bundt Classics, published by Nordic Ware. I figured their recipes would be as close to foolproof as possible. The "Gather Round Pound Cake" sounded pretty good. It was a pretty simple cake, flavored with butterscotch. The cake used 6 ounces of melted butterscotch chips, but the bag I had was 11 ounces. Next time, I might try adding the chips to the batter as well as having the melted chips. Sounds good, right? But the first time, I went with the recipe pretty much as-is. I'm not sure why this is called "Gather Round" and I thought it wasn't quite as dense as a typical pound cake, but that could have something to do with me being at high altitude. But I’m going to rename it anyway. Heat the oven to 325 degrees and prepare the Bundt pan. I always use a baking spray that includes flour. Put the butterscotch chips, coffee, and water in a microwavable container. I used a measuring cup. Heat in 30-second increments, stirring or whisking each time, until the chips are melted. Try not to get it too hot – just hot enough to melt the chips, since you’ll need to wait for it to cool. In a large bowl, or with your stand mixer fitted with the paddle attachment, beat the butter and sugar until light and fluffy. Add the eggs one at a time, beating well after each addition. Combine the butterscotch mixture and buttermilk (this will help cool the butterscotch if it’s still slightly warm). Add this to the butter mixture, and beat until combined. I added it in a couple additions so it wouldn’t slosh too much. Combine the flour, baking soda, baking powder, and salt in a medium bowl and stir to combine. Add this to the wet mixture and beat until combined. Note: most cake recipes would tell you to add the wet and dry ingredients alternately, instead of all the wet and then all the dry. That might be a better and less sloppy method. I’ll try it next time. Fill the pan 3/4 full of batter. If you’re using a smaller Bundt pan, don’t over-fill it, just make a few cupcakes from the excess batter. Bake the cake at 325 for about an hour, or until the cake springs back when lightly touched on top and a toothpick inserted in the center comes out clean. The cupcakes will bake in less time. Figure about 25 minutes or so. Let the cake cool for 10 minutes, then turn out onto a rack and let cool completely. Dust the cake with powdered sugar, if desired. Sometimes I get an idea in my head and I can't shake it. Like I had this idea to make a quick bread using Greek yogurt and self-rising flour. Except I didn't have any self rising flour. But that's easy. I always have baking soda and baking powder. This all started when the nice folks at Yoplait sent me some of their blended Greek yogurt and a recipe for frozen blueberry breakfast bars. The bars sounded good. Besides breakfast, I thought they'd be great for an afternoon snack or even dessert. But once the weather gets cold, I'm really not that interested in eating frozen foods. So I set the recipe aside. And time passed. And I became obsessed with this idea of a quick bread with just a few ingredients. I mean, I've seen quick bread and biscuit recipes that are nothing more than yogurt and self-rising flour. But I wanted a bit more than that. A few ingredients rather than two. The first loaf was a complete train wreck. And when I say complete, I mean complete. It was gummy and nasty and inedible. Finally, I got a loaf cake I liked. It's close to pound cake, but a little lighter. With bits of pineapple from the yogurt. A little sweet, but not too much. Moist, but not gooey. It rose nicely, but didn't dome at all, so maybe next time I'll add just a teeny bit more baking powder - I'll be trying 2 teaspoons. If you live closer to sea level than I do, for sure I suggest that for sure you add more leavening. Heat the oven to 325 degrees and spray a 9x5 baking pan with baking spray - I used a ceramic pan, but metal should be fine. Cream the butter and sugar in the bowl of your stand mixer fitted with the paddle attachment, or in a medium bowl using a hand mixer. Add the eggs, one at a time, scraping down the bowl as needed. Add the yogurt and beat until well blended. In a separate bowl, combine the flour, baking powder, and salt. Mix until blended, then add the flour to the wet ingredients and beat until combined. Transfer the batter to the prepared pan and smooth the surface. Bake at 325 degrees until the cake bounces back when lightly touched on top, and a toothpick inserted in the center of the loaf comes out clean - about 65 minutes. Let the cake cool for a minute or two in the pan, the remove the cake from the pan and allow it to cool completely on a rack. Soooo.... are you curious about the blueberry bars? Here's the recipe I was given. I haven't tried it yet, but it sounds pretty good. Maybe I'll make it ... when the weather warms up. Recipe courtesy of Yoplait. Used with permission. Get your yogurt and granola in a frozen bar that you can "grab and go" for breakfast or for a snack any time of day. Heat oven to 350 degrees. In large bowl, mix 2 1/2 cups granola and the melted butter. Firmly press in bottom of ungreased 8-inch square pan. Bake 10 minutes. Cool 10 minutes on cooling rack. Freeze about 5 minutes or until cold. Spoon yogurt over crust; gently spread to cover. Sprinkle with blueberries and crushed granola. Freeze about 3 hours or until firm. Remove from freezer 10 minutes before cutting. To make bars, cut into 5 rows by 2 rows. Wrap each bar tightly in plastic wrap. Store in freezer. These bars can be stored tightly wrapped in the freezer up to 2 weeks. *You can use any flavor of the Yoplait Greek yogurt for this recipe. Breakfast muffins don’t have to be sweet, and these cheddar and chive muffins prove it. Imagine these with bacon and eggs. Perfect, right? In a medium bowl combine the flour, cheese, chives, and sugar. In a separate bowl, combine the milk, vegetable oil, and egg. Whisk to break up the egg. Add the wet mixture to the dry and stir until combine an there are no more dry spots. Cover the bowl and refrigerate until the next day. Preheat the oven to 325 degrees and spray the cups of a standard-size 12-cup muffin pan with baking spray. Remove the batter from the refrigerator. Using a disher or spoon, divide the batter into the 12 muffin cups. Bake at 325 degrees until the muffins are lightly browned on top, and they bounce back when lightly touched on top – about 25 minutes. Remove the muffins from the oven and let them rest a minute or two before flipping them out of the pan. If necessary, you can run a thin knife around the sides of the muffins to help loosen them from the pan. Place the muffins on a rack to cool. Serve warm or at room temperature. Note: You can make these without refrigerating first, but refrigerating the batter improves the texture. Give it a try. I think you'll like it. My friends at 37 Cooks are at it again, this time sending me a selection of herbs and spices to play with, thanks to The Spice House. Well, I showed them! I went into the kitchen and baked a loaf of bread! Ha! Bread! One of the spices I chose was pizza sauce seasoning. If you don't have your own favorite spice mix you use for pizza sauce, give this a try. It makes tomato sauce taste a lot like the pizza sauce I was so familiar with in Chicago. But it's not just for pizza. Oh no. You could, for example, put some tomatoes and cheese on an English muffin, then sprinkle this on. Mmmm. English muffin pizza! Seriously, though, this blend works well for bread recipes, like this one, or mixed with cream cheese for a spread, or tossed with vegetables. Mostly, though, I use it for pizza-like recipes. And then I also add other stuff. You'll see. Combine the water, yeast, pizza sauce seasoning, tomato powder, lemon thyme, sugar, bread flour, semolina flour, and salt in the bowl of your stand mixer fitted with the dough hook. Knead until the dough is elastic. Add the chopped black olives and olive oil and continue kneading until the olives an oil are completely incorporated. At first, the dough will sort of slop around in the bowl, but then it will start combining. When the olives and oil are incorporated, cover the bowl and set aside until the dough has doubled in size, about an hour. Line a baking sheet with parchment paper and preheat the oven to 350 degrees. When the dough has doubled, flour your work surface lightly and turn out the dough. Gently de-gas the dough and form the dough into a tight ball and seal the bottom of the ball. Set the dough, seam-side down, on the prepared baking sheet. Cover with plastic wrap and set aside until the dough is doubled in size and an indent remains when dough is touched lightly with a fingertip. When the dough has doubled, slash the top of the dough as desired - and X or crosshatch work well. Bake at 350 degrees until the bread is nicely brown and sound hollow when tapped - about 35 minutes. Let the bread cool completely on a rack before slicing. 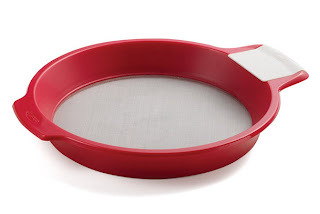 If you've watched food shows enough, you've probably seen chefs using a tamis - a drum-like sifter that's used for pureeing berries or smoothing mashed potatoes or getting the lumps out of flour. That's what the Sift'n Sieve ($17.99) from Chef'n is, but made from plastic-and-metal rather than all metal. The part that makes a difference - the mesh that you strain through - is metal, with a plastic rim. A small scraper attaches to the handle, and can be used to persuade berry pulp to squeeze itself through the mesh. The scraper is a nice idea, but I thought it was a little small - I preferred using a plastic bench scraper, instead. But still, it's nice that it's included for those who might not have a suitable scraper. I used it for sifting flour, pureeing berries (while leaving the seeds behind) and for sifting sugar I'd pulverized into powdered sugar. It would also be useful for straining yogurt to make a Greek-style product. In the past, I've always used a typical bowl-shaped strainer instead of a flat one, but this would be a whole lot faster, since there's more surface area. 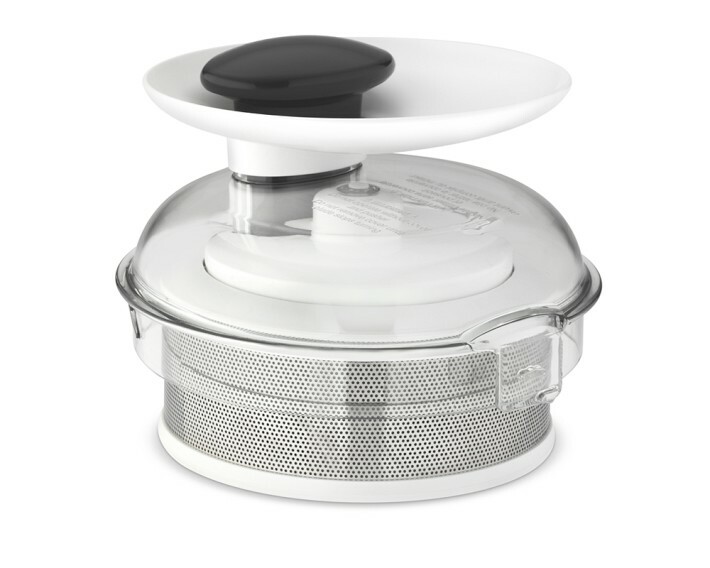 The one advantage this has over the professional metal tamis strainers is that where those have straight sides, this has sloped sides, so it snugs into a few more pots or bowls than the straight-sided version does. But, since this has a 10-inch diameter, you still need a reasonably wide bowl for it. This is top-rack dishwasher safe, which is great - some of the metal ones are not suited for dishwashers at all. On the other hand, this doesn't fit well in the top rack of my dishwasher, so I've washed it in the bottom rack with no apparent damage. You know that tomato juice you get in bottles and cans? Do you know that it's a cooked-tomato product? Yup, it is. How cooked it is depends on a lot of things. Like, who makes it. I spent some enlightening moments reading labels of canned tomato products one day, and there were some surprising things. For example, some canned tomato sauces are made from tomato paste. Think about that for a minute. Or two. Or, maybe if you've never made your own tomato paste, I should explain it. It all starts from tomatoes. I like to run them through my juicer. That gets rid of seeds and gnarly bits of skin and leaves me with juice and pureed pulp. And then, if I want tomato sauce, I cook it until it's the consistency of tomato sauce. Not so difficult. I just simmer until it's reduced enough. If I want tomato paste, I keep cooking it until it thickens to the consistency of tomato paste. What happens is that the liquid evaporates from the sauce and at the same time the tomatoes get more and more and more of a cooked flavor. Tomato paste is a little tricky because when it gets that thick it wants to burn. So usually I stop when I've got a nice sauce. From a manufacturing point of view, it sort of makes sense to make tomato paste first, since it's more concentrated. Then, when sauce is needed, water is added to bring it back to the consistency of tomato sauce. Maybe the paste people store the paste until sauce is needed. Or maybe they ship paste to the sauce facilities. All I know is that some of the sauces listed tomato paste and water as ingredients. Some included flavorings as well, like onion powder, but that's besides the point. The point is that if you have a tomato sauce made from tomato paste, the sauce will have a more-cooked flavor than a sauce that's reduced to just to the sauce consistency and then canned. If I want that deeper flavor, I use paste. I'm looking for something else when I open a can of sauce. Not every tomato sauce was made from tomato paste. Not all had flavorings. Ya gotta read the labels. What's even weirder is that when I went on my tomato-product-label-reading binge I found some tomato juices that were made from paste. But ... but ... shouldn't tomato juice be the least-cooked product? I think tomato juice needs a little cooking. But I don't think it needs to be turned into paste and then rehydrated. So when I make it, I cook it just enough to get it to the right consistency. And then I add just a touch of salt. 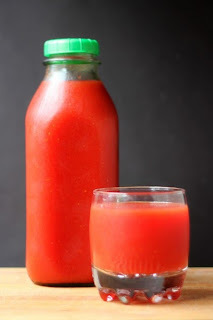 The beauty about making your own tomato juice is that you can make as much as you want. Make a quart or make a cup. Or make a couple gallons. Of course, this is something you want to make when tomatoes are cheap and good, but every once in a while there are good tomatoes, even in the dead of winter. Or, think about this until summer, when tomatoes are at their peak. I find that the easiest thing to do is wash them and inspect for bad spots and cut those out, then core them and run them through my juicer. If you don't have a juicer, there are other options. Blanch and peel them, then core them and blitz them in your blender. Then strain out the seeds. Or instead of blending in a blender, use a stick blender. Then strain out the seeds. Or, blanch, peel and core the tomatoes, chop them, and toss them in a pot. Cook until softened, then run through a food mill. Or, I'm sure there are other methods as well. You want to get to a point where you have clean tomato pulp and juice, without seeds and skin. Cook the tomato juice: Put the tomato puree in a saucepan and simmer, stirring as needed, until enough liquid has evaporated so you have a product that's the thickness of tomato juice. Depending on your original method for getting the puree, you might want to smooth it out a little with a stick blender. Taste, and add salt as needed. Transfer to a bottle or jug and refrigerate. If you want to can your tomato juice, check a canning book for guidelines. Jicama seems to want to be slaw, right? Who am I to argue? Seriously, though, it's the perfect use. Not just for a side dish, but also as a topping for sandwiches or tacos. This slaw is a little spicy, but not too much. You can add more spice, if you like, of course. Meanwhile, the lemon juice adds a bit of brightness and the capers add their own magic. I found that the best way to treat the jicama was to shred it. When I've made slaws before, I cut it into matchsticks, but now that I've shredded it, I think I like this better. Mix everything, and taste. Add more salt or chili oil, if desired. This is fine when it's first mixed, but I think it's better the next day. Keep refrigerated and serve chilled or at room temperature. I received the jicama from Frieda's Specialty Produce and I received the oil from Boyajian. I was not required to write a post. Ah, it's the New Year, and you know what that means ... Christmas stuff is on deep discount and Valentine's goods are vying for your attention right across from the scales and diet aids. A weird juxtaposition, to be sure. When it comes to getting healthy, I'm not big into fads and famine. Instead, I think that moderation, less-processed foods, and a good dose of fresh fruits and vegetables are the best medicine. And exercise. But you can't buy that at the store. 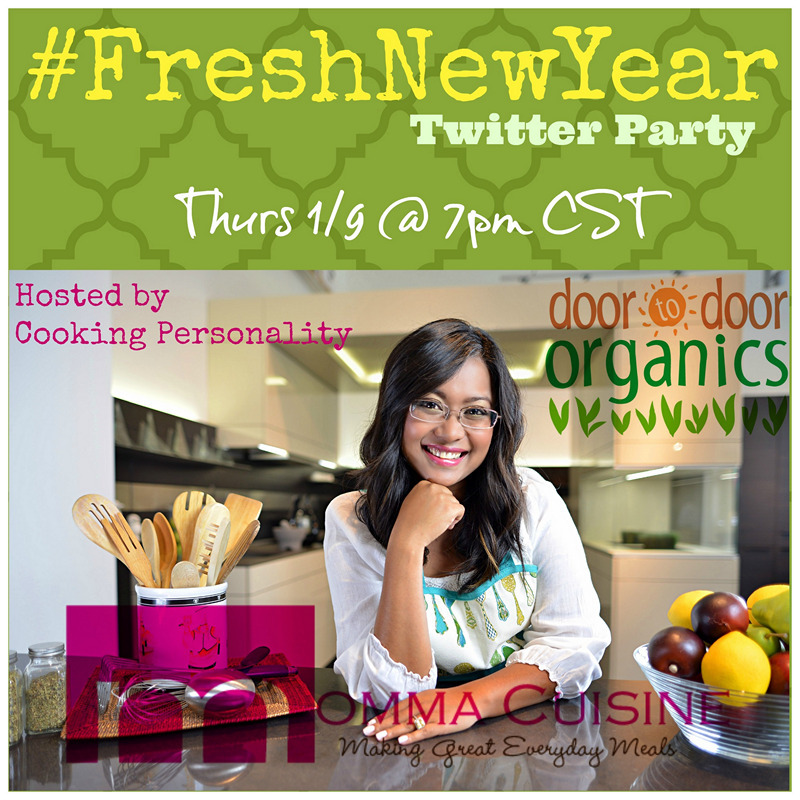 So, when I got an opportunity to co-host a Twitter party for Door-to-Door Organics, it seemed like the perfect thing. I wrote about them once before, and I've actually been to their local office and warehouse. 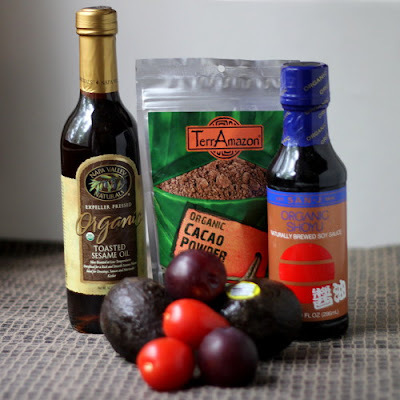 It's kind of a neat idea - home delivery of organic foods, including locally-sourced products. Door-to-Door Organics has been in business since 1997, and started with "a fresh, simple, seasonal box of organic produce delivered right to our customer's doorstep." Now, there is a much wider range of products, including organic, local, humanely raised, and fair-trade foods. See, it's not all fruits and vegetables - you can stock up on pantry items as well. The groceries are delivered in 100 percent recyclable, Sustainable Forestry Initiative certified boxes and all of the packaging is either reusable or recyclable. Door-to-Door will pick up those packaging materials on your next delivery day so they can be reused or recycled efficiently. Worried about the carbon footprint of getting food delivered? Door to Door Organics determines the most fuel and time efficient way deliver to customers, and concentrated delivery areas help reduce the number of vehicles on the road by consolidating an average of 65 customers into one vehicle and route. Deliveries start at 7 a.m. and should be complete by 6 p.m. Drivers knock to let customers know the box has arrived, but no one needs to be there to receive it - deliveries can be left at the door or in a cooler. 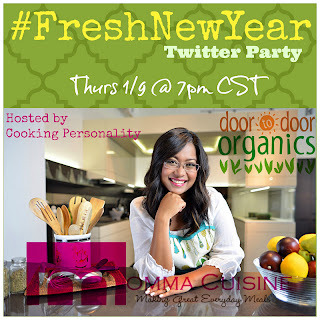 Follow the hashtag #FreshNewYear Twitter Party on Thursday, January 9 at 7 p.m. central time. Momma Cuisine, Johanna M. Cook has been capturing audiences since 2009 with her mission to get families to make Great Everyday Meals using simple ingredients and basic cooking techniques. Momma Cuisine’s engaging personality has helped her to become a leading cooking personality in Chicago and beyond. With regular television and live appearances, Momma Cuisine’s series of shows has garnered national media attention. Check out her recipes on MommaCuisine.com and her series of shows on the Momma Cuisine YouTube channel. Enter here to win one of two $100 gift cards for Door-to-Door Organics - but you might want to make sure you're in their delivery area before you enter!) And make sure you come to the Twitter party for even more fun! Disclaimer: This post was sponsored by Door-to-Door Organics. The idea here is like jalapeno poppers, but with sweet mini peppers instead of hot peppers. And instead of breading and frying, these are served uncooked and cold. They're a little lighter and fresher. and they're also milder - the only slightly spicy bit is the garnish. The sweet flavor of the peppers shines through, and the cheese plays a starring role. Speaking of the garnish, the Piment d'Espelette is my new favorite paprika. Instead of a fine grind, it's tiny flakes, and it's a little spicy. Combine the cheeses and pesto in the bowl of your food processor. Pulse, then process until the mixture is mostly smooth. It's fine if there are tiny bits of the Monterrey Jack and the pesto, but you don't want large chunks. If you don't have the tomato pesto, sundried tomato would be fine. Or, omit it. Cut the peppers in half, lengthwise, then remove the stem and seeds. Fill the peppers with the cheese mixture, then garnish each with a sprinkle of the Piment or with paprika, as desired. This makes about a cup of filling and fills about a dozen peppers, depending on how big your mini peppers are, and how full you fill them. I received the mini peppers and the tomato pesto from Frieda's Specialty Produce at no cost. I was not required to write about them. I'm probably not the average shopper. Okay, I'm not normal. But we knew that. Normal folks stock up on bargain wrapping paper, Christmas cards, and maybe some deals on lights, ornaments, candles, and decorative stuff. Me, I go to the grocery store and see what deals I can score. And sometimes the items that go on sale aren't all that seasonal. Like chocolate chips. Seriously. Chocolate chips. I also picked up some extra cupcake liners. Gee, the red ones will be great for Valentine's day and the green ones will be perfect for St. Patrick's day. Speaking of red and green, in one of the stores there was a huuuge display of Duncan Hines "velvets" cake mix. It included two mixes - a red and a green. I usually don't buy cake mix, but I had some decorating tools I wanted to play with, and a two-toned cake mix sounded perfect for my evil plans. So I bought that. And then I made cupcakes. I layered some of the cupcakes. It was simple and didn't require any extra tools, but to make it a little simpler for all of the cupcakes, I used two pastry bags to fill the cups - one pastry bag for each color of batter. I used a cupcake batter divider from Good Cook to create cupcakes where the colors were split vertically. The divider stood upright on its own in the cupcake pan, so it was pretty easy to use. Since these little dividers are cheap (particularly if you buy them on sale after Christmas, as I did) I'd suggest buying three or four of them so you can fill a row at a time of cupcakes, so you don't need to switch colors constantly. It wasn't horrible to fill one side, then the other, then move the divider to the next cupcake, but it would have been quicker to fill four red sides, then four green sides, then move all four dividers to the next row. I used that same cupcake divider in a different way, too. Instead of removing it straight up, I twisted it to create a swirl pattern. I used a small-diameter biscuit cutter to make cupcakes with one color in the center and a different color around the outside. It was a little fiddly to fill the inside if the biscuit cutter, since it had a handle on top, but it wasn't awful. It was a little tough to gauge how much batter I had, and quite a bit stuck to the biscuit cutter, so I added extra batter to the tops of some of those cupcakes. And last, I added red and green batter to the last few cupcakes and used a chopstick to swirl the batter. This was the simplest of all, but it's a pretty common technique. Rather than using pastry bags, I think it would have been less messy and more precise to use squeeze bottles to dispense the batter. Maybe I'll give that a try next time. But they'd have to be squeeze bottle with a fairly large hole, or it would take forever to fill the cupcake cups. A decorating squeeze bottle with a large tip would probably make sense. For the frosting, I pulled out another gadget - a pastry bag and coupler that I bought from King Arthur Flour that allows two different frostings to be piped at the same time through the same tip. It took a few attempts before I figured out the best way to use it. For instance, you want to fill both sides equally, and the best way to do that is to put a little frosting in one side, then some in the other, alternating back and forth to fill both sides with about the same amount of frosting. Once I figured that out, it worked pretty well. Now that I think about it, it might have been interesting to use that to pipe the two batters into the cupcakes ... maybe next time. 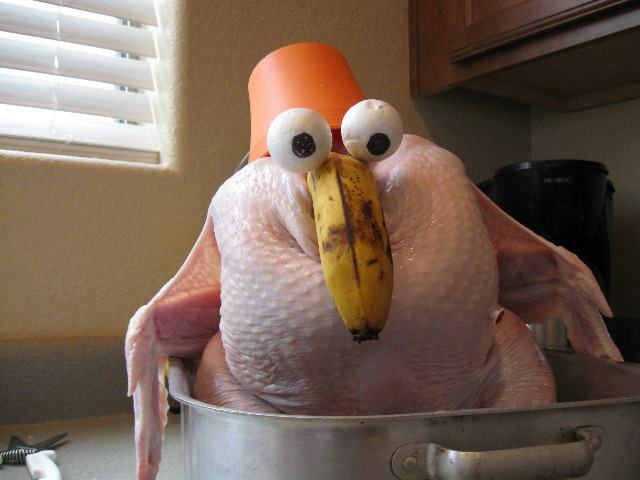 So ... did you get an interesting food-related bargains after the holiday? Tell me! Not a top-ten post, but this photo amuses me. Yeah, everyone's doing TOP TEN posts, and I figured I might as well jump on the bandwagon. So, with no further ado (except a really big "Happy New Year" to you), here's my top-ten (ish) pick of blog posts from 2013 (and beyond). Not necessarily top ten in traffic, but top ten in ... something. First, traffic. Although it was published in January of 2011, this post about the correct water temperature for yeast consistently ranks in the top ten of my posts almost every week, thanks to its high ranking in Google searches. At one point, there was a link to it in a school curriculum. It's been steadily climbing above other popular posts, like my Bunny Bread and a biscuit recipe. Then, Wikipedia. Okay, this post about annato oil is another one, but it's one that's mentioned as a reference in this article on Wikipedia so I'm rather fond if it. I'm sure there are plenty of blog posts about annato oil on the web, but for some reason this one from 2010 was chosen as a reference. I don't get a lot of traffic from being mentioned as a resource, but it's kind of cool, anyway. Peanut Butter Cup Magic Cake was a high-traffic post from 2013. It's one of the few times I've jumped on a trendy bandwagon, and the only time I bandwagoned fast enough to get any traction from it. I still haven't made cake pops, and I might never jump onboard that one. Chicken breast stuffed with rice and broccoli might not sound all that interesting, but I loved the photos I took. It was a cold day and the hot food next to the window where I shoot photos created a wisp of steam. In the early days of this blog, I was lucky to get photos in focus and with correct color. Now I'm getting wisps of steam. When the idea of the Turham struck, I was giddy excited about it. I sort of expected it to go viral or at least get crazy on Pinterest, but it remained an average-viewed post on my blog. But you never know - this could be one that goes crazy next year. Meanwhile, I can say that I may have coined a new word. 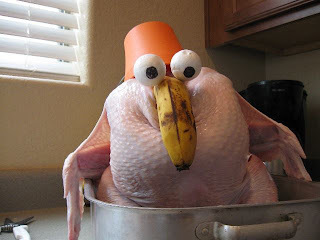 A search on Google didn't turn up any similar food monstrosities. I baked a chocolate cake for my BFF Carla's birthday, and my husband raved about it. THIS is the birthday cake he dreamed of. I guess I'll be making it again. Amy had a wicked sense of humor. I haven't used any guest posts since my husband got out of the hospital (back then, I used a LOT of guest posts because I just couldn't manage ... but that's another story), but I did use someone else's recipe on this post. My friend Amy had just passed away and I posted one of her recipes and photos as a tribute. I still miss her quirky humor on Facebook. In July, I announced that I had signed a deal to write a cookbook. I thought I wouldn't be able to keep up with daily posts on my blog, and I wanted to let people know why I was slacking. Turns out that I did manage to post most days, missing just a few days and ending the year with 355 posts. Not too shabby. So ... that's ten noteworthy posts ... but ... but ... I'm a baker, so I feel inclined to give you a baker's dozen. There was a time when everyone was talking about the book Herbivoracious, and I had to see what all the fervor was about. This grilled cheese sandwich is a prime example of the genius in these pages. Simple, but amazing. And then I threw caution to the wind and made pressure-fried chicken. A lot of people thought I was crazy, but it worked. And the chicken was fabulous. When Crown Maple Whisky ads were running on the radio, I became obsessed with finding it. But ... it was nowhere. For months. When I finally got my hands on a bottle, I made Maple Whisky Ice Cream. It's one of my all-time favorite ice creams that I've made. And I'm still obsessed with the whisky. Only now it's a lot easier to buy. So that's it for post, but I want to leave you with one final photo ... Snickers, all dressed up in her Christmas finery. Heh.